Applicable to dusting spray, sand blasting, pigment industry, wood processing. 1) Imported long fiber polyester filter media, fiber interwoven, evenly distributed. 2) Good abrasion resistance, and the capability of withstand airflow pulse inverse blow is better than traditional filter media. 3) Smooth filter media surface, not sticky. 5) Electro-galvanized/stainless steel cover, central skeleton. 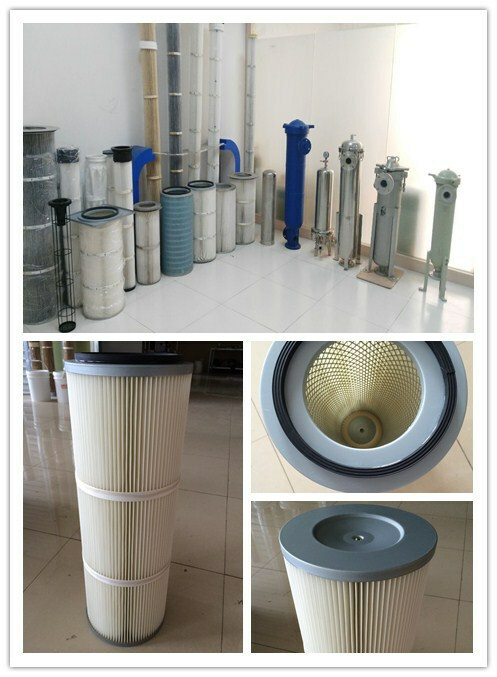 7) Good filter material stiffness, can be repeated washed.